What is your budget? Your budget will determine the boundaries of your party, as far as how much you spend in each item. From invitations to the entertainment, you can spend as much or as little as you set out to do on your budget. Think about establishing a spending plan as a priority. How much do you want to be involved? Some moms make everything from the cake to the table linens. I am not that talented so I planned on showing up, bring the kid, bringing the (catered) food and having myself a great time. Be realistic in your involvement. Be sure not to be too tired from the preparations. You want to enjoy your child’s birthday to the fullest. Invitations • If you design them and send them online you can save on postage which is also eco-friendly. My budget was little, so saving $65 dollars on invitations alone was great (price based on 50 invitations for $1.39 each). I designed the invites on Photoshop and e-mailed them to friends. Remember you can also set up your invitaitons on Facebook, which is even better and quicker as far as the RSVP goes. Food & Drinks • It is important that the guests have a great tasting cake, so my priority as far as spending went to to my favorite thing in the party. We had Trés Leches cake, which my neighbor baked for under $100. The cake was big enough for 50 people. I asked a friend to prepare two other side items, and I think I paid her $50 dollars. We went to the grocery store and bought drinks as well as juice for the kids. Entertainment • I wanted to make sure we had something for the bigger kids. I hired a gentleman from my church makes balloon animals for parties as well as small water balloons. He gave me a big discount, which was a blessing. In case I could not swing this arrangement, the party location had activities for the kids. Location (x 3) • Our local toy store, Fun Things Etc, offers free party space. I was all over that! The arrangement was amazing: their prime location on Main Street was easy for the guests to find and they took care of decorating the party room for me. 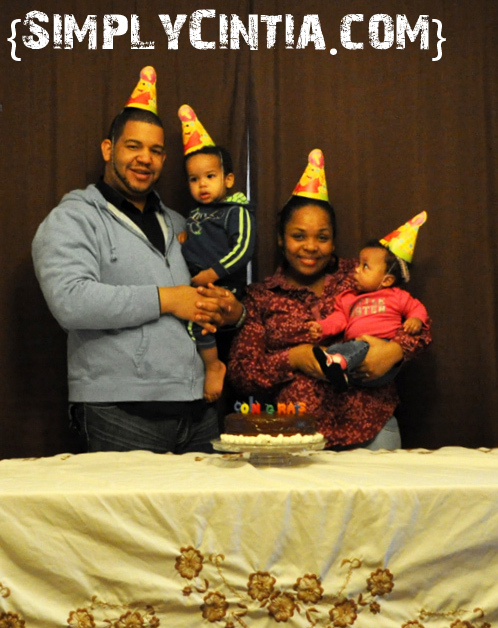 They can work with you to meet your party needs: decorations, favors, games, food and cake. Nothing is too difficult for Fun Things Etc. I highly recommend their services. Photography & Video • I was blessed to have friends who were professional photographers in the party. I took photos and they gave me their photos as well. If stretching your budget is your priority, make sure you enlist a friend to be responsible for the pictures. Also, make sure to be specific about the shots. 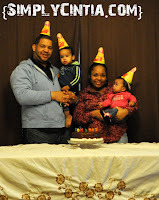 A family photo in front of the cake is what I wanted as well as the cake smashing pose, a classic. 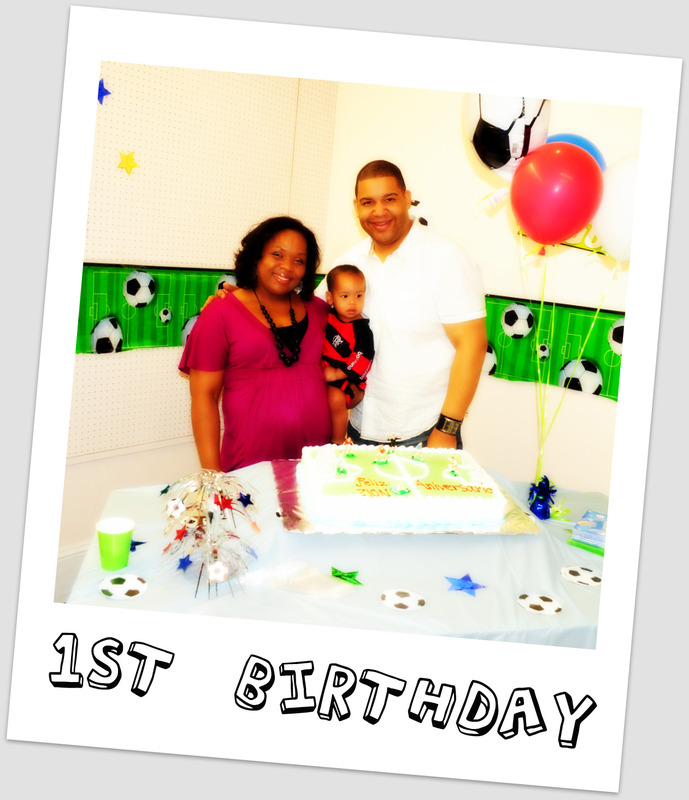 When I look back at LP’s first birthday party I see a community of friends coming together with our family to celebrate his first year of life. We have awesome memories and we didn’t have to break the bank because we established a spending plan and stayed within our limits. My heart is to get people together to thank God for and celebrate life. 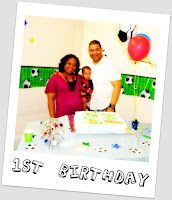 I pray you have a great first birthday party for your child! First birthdays are soooo much fun! I went all out for Lizzie's and not so much for David's. I guess girl birthday parties are just more fun to plan. Boys are boring, what can i say? Lu, obrigada por me lembrar de escrever mais em português! Annie, hope Lucie is feeling 100%!